The Screen Nation Film and Television Awards have announced its 2017 nominations, rewarding the very best in black British achievement in film and TV. Dubbed the ‘the black Bafta’s’, the much admired ceremony will take place at the Park Plaza London Riverbank hotel on Sunday May 7, 2017, hosted by BBC London’s News Arts Correspondent Brenda Emmanus. It is always thrilling to know that our very own Ghanaians are out there kicking it head to head with the big stars in the UK film industry. Ghana’s Amma Asante who is a British screenwriter, film director, and former actress will be honoured on the night for her outstanding Achievement in Film Production. Asante was born in London in 1969, to Ghanaian parents; her father was an accountant, and her mother ran a deli. Asante attended the Barbara Speake stage school in Acton, London, where she trained in dance and drama. She began her film and television career as a child actress, appearing as a regular in the British school drama Grange Hill. 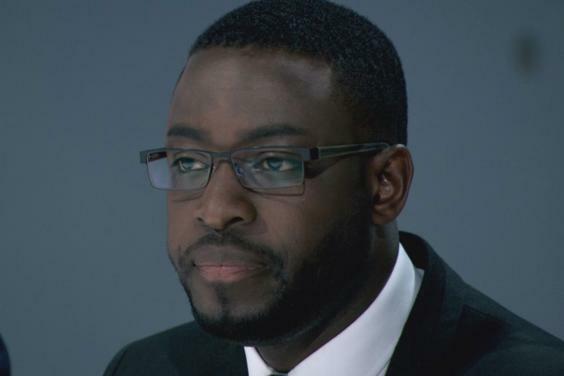 London Area Sales Manager Samuel Boateng’s ‘Apprentice’ has been nominated in the Favourite Reality TV Talent category. Boateng was announced as one of the candidates for BBC One’s The Apprentice 2016, which was aired on 6th October 2016 on BBC One with Lord Sugar, Karen Brady and Claude Littner. A prominent figure in the Afro-Caribbean community, Boateng worked for various companies rising quickly through management. Boateng is responsible for managing and generating new business for over 700 businesses across London. 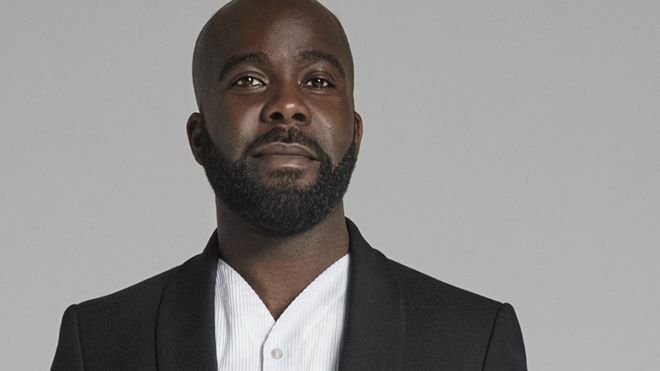 Ghanaian producer based in UK, Yaw Basoah has been nominated in UK Screen Achievement Awards for Rising Star. 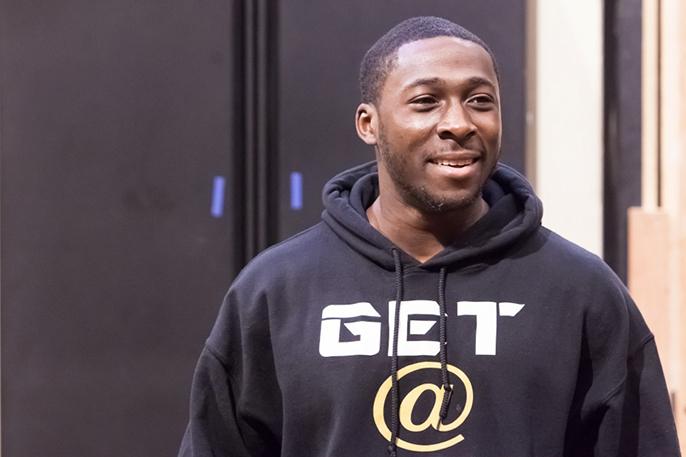 Securing a place on Creative Skillset-funded mentoring scheme Guiding Lights, Basoah was thrilled to be guided by Shaun Of The Dead producer Alison Owen, an experience that gave him a “great insight into transitioning from shorts to features”. Eric Kofi-Abrefa(Humans, Stan Lee’s Lucky Man) also earned nomination in UK Screen Achievement Awards for Emerging Talent. Abrefa is an actor, known for Fury (2014), Snowden (2016) and Tight Jeans (2008). Ghana’s Melvin Odoom had two nominations in the Favourite Male TV Personality category (Strictly Come Dancing and Bang on the Money). Odoom is an English comedian, radio DJ and television presenter. Born to Ghanaian parents, he is a celebrity ambassador for The Prince’s Trust charity, which is involved with helping young adults in life. This year will see the British science fiction and anthology series, Black Mirror, and the American miniseries, Roots, go head to head with four nominations each to leading actress Michaela Coel (Black Mirror), leading actor Malachi Kirby and supporting roles to Sope Dirisu, Wunmi Mosaku (Black Mirror), Simona Brown, Rege-Jean Page (Roots) and in the Diversity In Drama Production award. Brotherhood, Chewing Gum, Damilola, Our Loved Boy and NW have received three nominations in the award categories: Diversity In Drama Production, Favourite Comedy Talent, Female Performance in TV and Male Performance in TV. Actors Arnold Oceng and Noel Clarke will compete in the Male Performance in Film award for their starring roles in Brotherhood, with supporting actresses Wunmi Mosaku and Nikki Amuka-Bird battling it out for the Female Performance in TV award; whilst Danielle Walters, Michaela Coel and Susan Wokoma dominate the Favourite Comedy Talent category with the most nominations for a single award for the TV smash Chewing Gum. Stage and film actress Gugu Mbatha- Raw receives her second consecutive nomination this year for the Female Performance In Film award for her supporting role in The Whole Truth, Free State Of Jones and Miss Sloane. Singer/TV presenter Rochelle Humes also returns to the public voting category for the Favourite Female TV Personality award for the game show Ninja Warrior UK. Actor and director, Noel Clarke, leads with the most nominations in three award categories – Achievement in Film Production, Male Performance in Film and Male Performance in TV for the hit film Brotherhood including ITV’s crime drama The Level. The Favourite Reality TV Talent award returns to the public voting category this year. Other public voting categories includes Favourite Comedy Talent, Favourite Female TV Personality and Favourite Male TV Personality with TV/radio presenter Melvin Odoom nominated twice for the same award for his performance in Strictly Come Dancing and on Bang On The Money with presenter Rickie Haywood Williams. Major honours goes to the notable Nigerian-Ivorian actor Isaach de Bankole for the Outstanding Contribution Award with The Edric Connor Trailblazer Award going to the legendary director, Horace Ove, popularly known as the ‘godfather of black British film’ whose career has spanned over half a century. The iconic comedic cricket themed TV drama Playing Away will also be acknowledged with a Classic TV Award, as it reaches its 40th anniversary in 2017. Receiving the third ever Screen Nation Special Award will be Stephen Bourne, author of the classic book and celebrating its 25th anniversary, Black in the British Frame; plus the very rarely presented special honorary Legacy Award will be posthumously bestowed upon deceased screenwriter and playwright Michael Abbensetts, who passed away in late 2016.